Recent events are somewhat discouraging which I can only conclude will bring about the termination of the Bahamas as an Offshore Financial Centre and place even more emphasis on Tourism as the main and only driver of the Bahamas Economy. For many years The Bahamas has promoted itself as an offshore financial centre which saw numerous banks establish a physical presence here. The banks in turn created employment opportunities at all levels especially for Bahamians. This employment created had a significant trickle down impact on the local economy which in turn diversified our dependence on tourism. The amount of diversification was never confirmed by hard facts but on a best guess basis was somewhere between 15% – 20% of GDP. 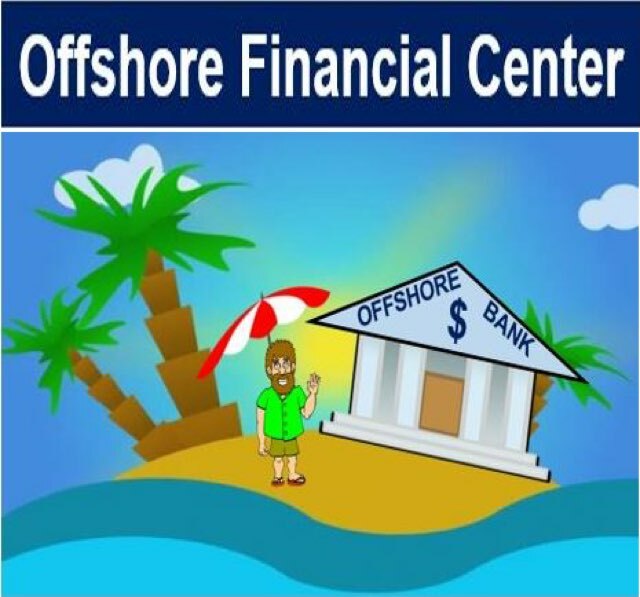 All was fine until the OECD, EU, FATF and IMF bodies decided offshore financial centers were expanding too quickly and needed to be curtailed if not destroyed. The most well-known of the foregoing – the OECD is at best an oxymoron. How can a group of theocrats operating under the label of Organisation for Economic Cooperation and Development take every opportunity to destroy The Bahamas offshore industry? I am of course referring to the recent “blacklisting” of the Bahamas. The Bahamas Government was shocked by this action and is now trying to actively yield to the OECD/EU forces in order to be de-listed. From learning about the mandate that this group was demanding the resultant “blacklisting” should not have come as a surprise. Initially we were only exempt due to Hurricane Matthew! For many years The Bahamas has boasted itself as an Independent nation and as such claimed it had an advantage over the other regional island centres such as Cayman, British Virgin Islands, Barbados etc., This has turned out to be a false belief and now the small Island nation of The Bahamas can no longer stand tall and proud and is being compelled to bow to the demands of the OECD/EU/FATF/IMF groups. At this early stage there are discussions that (a) the Bahamas will have to introduce taxation – possibly corporate tax as opposed to individual tax and (b) to disclose the names of the ultimate beneficial owners of the various offshore structures. If the Bahamas Government plans to fulfill these objectives it will result in major changes to our current laws. From what we have learned any proposal of taxation has to specifically disavow any form of “ring-fencing” – i.e. favouring a targeted group. Consequently one has to assume that one of the significant elements of the offshore structures = International Business Companies (IBC’s) will have to be removed as a vehicle of choice. The IBC Act makes provision for such a company to be exempt from all forms of taxation for a period of twenty (20) years. As IBC’s will no longer allowed to be ring-fenced it simply means that the IBC Act will have to be annulled. This will mean that IBC’s will only be allowed to continue in the BVI & Cayman etc but not The Bahamas . Secondly the House recently passed a bill to create a Register of the ultimate beneficial owners of all offshore structures – i.e. IBC’s and regular Companies in addition to trusts, foundations, partnerships etc., The Government has downplayed this requirement by stating that this information is to be retained in The Bahamas and will not to be divulged to other countries similar to the automatic exchange of information that applies to other information. What has prompted this requirement other than a demand of the aforementioned groups? What is really behind the purpose? Why is it not possible for the licensees to have this information on their respective files as they do now and agree to disclose when there is good and sufficient reason? Giving information to a Regulator or Government Department is inviting a disaster. What Government body or Regulator in the Bahamas has the means to secure this information – i.e. prevent hacking – a worldwide phenomenon? Furthermore it is known that Government employees tend to be on a lower pay-scale than their commercial counterparts. Such a situation automatically leads to the rather obvious situation of a government employee (disgruntled or not) seeking to harvest this information and sell it to the highest bidder. To the best of my knowledge the Government does not have provisions in place that restrict and prevent such an act by a “rogue” employee . This is not a fairy tale it has happened before in other jurisdictions. Another recent enactment taken by The Bahamas Government relates to the “automatic exchange of information” which is scheduled to apply to multi-national companies whereby full disclosure of information will relate to all operating activities undertaken in the jurisdiction. This information relates to a topic labelled BEPS (business erosion and profit shifting) whereby a business is established in a jurisdiction for the purpose of either reducing its tax liability on its global operations and/or incurring costs to minimize its ultimate profit. Such practices have been ongoing for some considerable time throughout all areas of the World. Last year there was much focus on Apple, Starbucks, Google, Walmart establishing companies in various jurisdictions to significantly reduce their tax liabilities – all very legal. The problem however was not one of legality but of morality. As a result changes are being considered to prevent a continuance of this practice as it is deemed to be providing some countries from their considered share of tax revenue. The Bahamas Government has already “stepped-up-to-the -plate” and signed up for meeting the OECD’s initial phase of being amenable to providing the information to the home countries of the parent corporation. I have had the opportunity of attending meetings on these topics which have been presented through the Bahamas Financial Services Board (BFSB) in conjunction with Government Officials. Although these presentations were to allow an expression of views no debating ever took place as the representatives of Government had already made the decision and were telling the practitioners/licensees what to expect. This is most unfortunate, and with the utmost respect the Government does not know or understand the offshore business. Like many occasions over the years no Government ever accepts local input. The only way to have any measure of success is to bring in experts from other parts of the World – usually as far away from the Bahamas as possible. This is most disrespectful to the pool of Bahamian intellect that is locally available but as stated above it continues to be the same story i.e. that the Bahamas Government knows best. Already some parties have published their views in the press some of which are duplicated in this communication. Hopefully sufficient information will be presented to make Government think again about the steps and consequences they are taking. It has also been put forward that on this occasion it is time for The Bahamas to consider an alternative approach. Recently a Government Minister stated that we have little input as a small Island Nation. However as we are not the only jurisdiction affected by the OECD/EU/FATF/IMF mandates why do we try to go it alone? Why not expand our role to that of the Caribbean Region (which for this purpose is defined as being from Bermuda to Trinidad and Tobago). This should help prevent us from being viewed as unimportant due to our Island size, if we present ourselves as a much larger and visible area which the OECD and others cannot easily ignore. The respected Sir Ronald Sanders has been an advocate of this strategy for some time. Failure for The Bahamas Government to listen will surely result in the demise of the financial sector – which has already been advised that one cannot do business as we did in the ‘70’s. I have been around long enough to know how business was conducted in the ‘70’s and believe me those business practices have died a long time ago. At the moment we still have an offshore financial sector which has modified its business practices along the way. We still have some offshore banking services even though the number of licensees has been reduced significantly and could become dramatically worse when Barbados tackles its blacklisting issues. However implementation of the proposed Government changes will lead to the erosion of the Bahamas financial sector resulting in an even bigger reliance on Tourism. Is this really what the Bahamas wants – i.e. lose its diversity of contributions to the country’s GDP? In my opinion it is time for the Bahamas to work along as part of a Caribbean Group and see if we can get the attention of the OECD et al and maybe they will then listen.